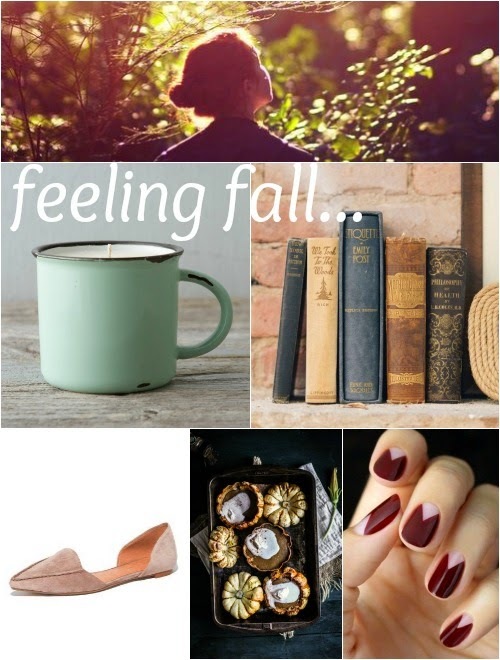 Happy first full day of fall! I am feeling the cool air shift in and wanting to add those autumnal tones to my wardrobe. Here's to all things apple & pumpkin, football Sundays, and snuggly sweaters. Already starting to wear the darker colors! Loving burgundy and dark green. I love the warm snuggly feeling of fall. I cannot wait for pumpkin pie and hot cider. Being cozy is like the most perfect feeling. Great fall board! Love those flats!